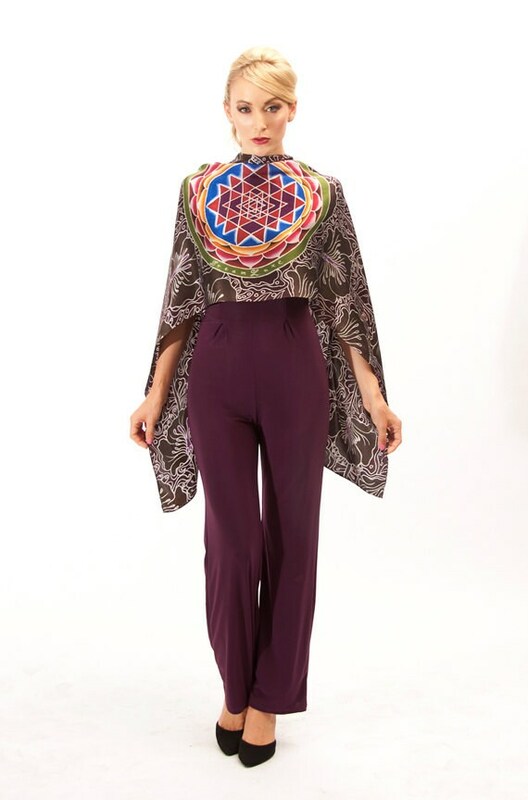 Wrap yourself in this elegant Sri Yantra mandala motif silk scarf Batik Hand Painted Silk Scarves. 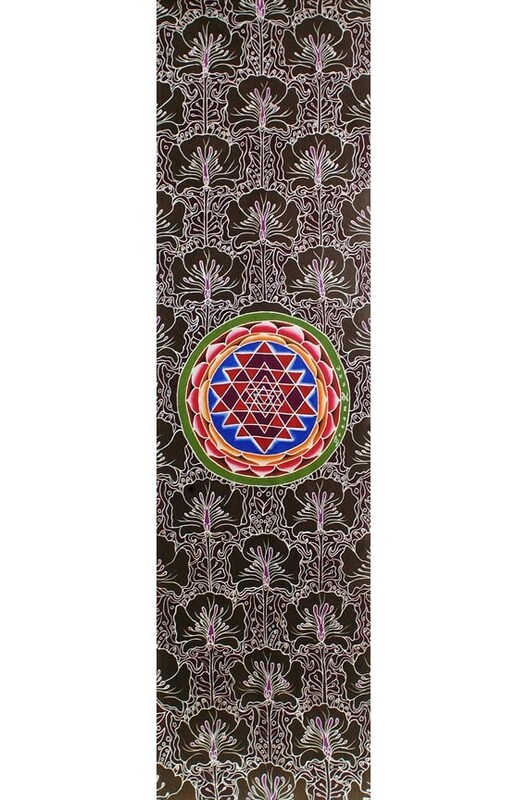 The colorful Sri Yantra mandala is painted in blue, reds, purples and green while the background has a beautiful floral pattern in subtle browns and purple. It makes a beautiful wall hanging when not being worn. The Sri Yantra represents the union of masculine and feminine divine. The nine triangles are interlaced in such a way as to form 43 smaller triangles in a web symbolic of the entire cosmos or a womb symbolic of creation. Besides the symbolism this wearable work of art is a luxurious fashion accessory. The perfect gift for any occasion. For him or her.